Dr. Hayes has been practicing in Tulsa since 1979. He graduated from Palmer College of Chiropractic in 1977. After a short practice in San Francisco and Las Vegas, Dr. Hayes settled in Tulsa with his wife and twin boys. Professionally, Dr. Hayes was the co-developer of Myofascial Disruption Technique, a soft tissue technique that is responsible for the resolution of many soft tissue conditions including ankle sprains, knee sprains, shoulder conditions, etc. This technique is taught to other doctors through out the United States. Dr. Hayes has been involved in peer review and chiropractic insurance consulting since 1980. He has consulted for Blue Cross Blue Shield of Oklahoma, Kansas, Alabama, and Virginia, and other insurance companies including Aetna, Prudential, USF&G, Shelter Insurance, Provident, Allstate, USAA, State Farm, Farmers, Mid Continent, GEICO, Nationwide and Farm Bureau, among others. He was the chiropractic consultant for the Oklahoma State Employee and Education Group Insurance Fund where specific policy was developed regarding chiropractic services. He is the author of over 20 books, numerous articles, and manuals about insurance, malpractice, nutrition, HMO/PPOs, workers compensation, personal injury, industrial consulting, claims review, managed care and the treatment of soft tissue conditions. Dr. Hayes has been named Chiropractor of the Year by the Chiropractic Association of Oklahoma twice and nationally by Practice Management Associates. He has served two terms as the president of the Chiropractic Association of Oklahoma, the Oklahoma Chiropractic Insurance Joint Advisory Committee and nationally two terms as the president of the Congress of Chiropractic State Associations. He was president of the Congress of Chiropractic State Associations when the Mercy Guidelines were initially formed and sponsored. He served two terms as President of the Oklahoma Board of Chiropractic Examiners and served for 9 years on the Physicians Advisory Committee of the Oklahoma HealthCare Authority. Dr. Hayes has served as a post graduate education instructor for Life Chiropractic College West, Texas Chiropractic College, Logan Chiropractic College, New York Chiropractic College, and Palmer College of Chiropractic. 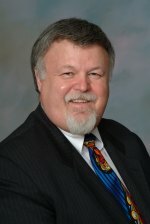 In the insurance industry, Dr. Hayes has made presentations to four national Anti Fraud Conferences for the national association of Blue Cross Blue Shields, and presentations to the Southwest Insurance Association, the Iowa Claims Council, in addition to numerous in house training programs for individual insurers and third party administrators. He has been certified as an instructor by the Oklahoma Insurance Commissioner�s Office for Continuing Education for Automobile Liability Adjustors. Dr. Hayes is a chiropractic physician for Warren Clinic HMO in Tulsa and has served as the chiropractic consultant for Care Med. He is the past Department Chair for the SouthCrest Hospital Chiropractic Department. Dr. Hayes helped design a statewide chiropractic PPO for Blue Cross Blue Shield of Oklahoma, and the Oklahoma State Employee and Education Group Insurance Board. These two plans are the largest in Oklahoma. He serves as Vice President of the board and as the Medical Director of The Oklahoma State Chiropractic Independent Physicians Association (OSCIPA), one of the largest nonprofit Chiropractic IPA's in the country, serving 1.5 millions people. Dr. Hayes has served as the team physician for FC Tulsa-soccer, a semi-pro soccer team in Tulsa that is a member of the National Premier Soccer League, the third tier in soccer nationally. He has been the team physician of the Tulsa Crude hockey team when they were in Tulsa. Dr. Hayes is President of the North American Federation of Chiropractic Managed Care Networks, a national organization of state based Chiropractic IPA's. He serves on the board of the National Association of Specialty Health Networks, a sister organization of AAPP0. Dr. Hayes is the Host of Medical Matters on KRMG Radio (740 AM and 102.3 FM), a weekly one hour talk show featuring experts from around the country on a number of medical topics. The show airs at 10:00 AM Sunday Mornings. Away from his professional life, Dr. Hayes served on the board of Metro Christian Academy and was a member of Rotary International. Dr. Hayes is married to Jan and has two twin sons, Craig and Steven. He practices with his son Craig. 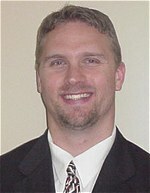 Dr. Craig Hayes graduated from Parker Chiropractic College in Dallas Texas in 1996. He has practiced in Tulsa since January 1997. Dr. Hayes has a Bachelor of Science degree in Anatomy. Dr. Hayes specializes in general chiropractic practice and sports injuries. He is skilled in Diversified Technique, Activator and Soft Tissue Techniques including Myofascial Disruption Technique and Active Release Technique. Dr. Hayes has been a team physician for the Tulsa Crude Hockey team, and has been involved in the treatment of professional athletes. Dr. Hayes has recieved advanced training in the treatment of animals using manual therapies. He works closly with local veternarians to render high quality care to your family pets. Away from his professional career Dr. Hayes has a wife (Wendy) and two children (Colby and Payton). He serves as a head football coach for the Broken Arrow Silver. Janis McCutchen, LMT is a Licensed Massage Therapist with the city of Tulsa, Oklahoma. She received her CMT (Certified Massage Therapist) license in December of 1997 after completing 250 hours, both clinical and classroom. In June, 1998, she finished her training with an additional 250 hours and received the LMT (Licensed Massage Therapist). She attended the Massage Therapy Institute of Oklahoma . Since completion of classes she has worked in a clinical office, onsite at homes and business. Janice incorporates several massage modalities in her practice which include Swedish, Trigger Point, Deep Tissue, Pregnancy, Myofascial Release and Sports.